The “G. 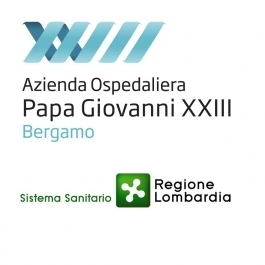 Lanzani” USS Centre of Cellular Therapy is part of the Hematology Division of the Papa Giovanni XXIII Hospital at Bergamo, Italy. The Centre is a Cell Factory officially authorised from 2008 by AIFA (Agenzia Italiana del Farmaco) to produce Advanced Therapeutic Medicinal Products (ATMPs) for phase I/II experimental clinical studies. The Centre is fully compliant to European GMP rules. In recent years the Centre has produced donor derived Cytokine Induced Killer cells (CIK) (a subcategory of activated T lymphocytes) for the therapy of relapsed leukaemia in Hematopoietic Stem Cells transplanted patients, in both phase I and phase II clinical studies. In addition, it produces either bone marrow derived mesenchymal stromal cells (BM-MSC) or cord unit derived mesenchymal stromal cells (UC-MSC) for phase I and II immunosuppression clinical studies in different clinical conditions such as acute, steroid resistant grade III-IV acute graft versus host disease (GVHD) in Hematopoietic Stem Cell transplanted patients, or chronic renal failure patients receiving kidney transplants from living related donors, or also in multiple sclerosis patients with progressive/aggressive diseases.